Why would you sell your Eye of the Void solely to come to 800 DCs? Why would you waste your Dragon Coins on purpose? And how’s that worth it? Simple. Very Simple. Look . I Had 835 DCs . Then i Bought CCL armor for what , yes , Free Storage. Remembe that i Have 0 spaces because of the Memory Fragments?. Now i have aceds to all 3 CCL Classes on Closet. So i stayed with 790 DCs and My Eye of the Void VI was Bought With DCs so all that i had to do is farm The Drop Version. Once i got it, i sold the DC one for 10 more DCs and stayed with same weapon but the DA version. Now i have 800 DCs exactly. When CW comes i will need to buy only the 1000 DCs Package, Not the 2000 One. Is a bit logic. Talking about Deep Void Drops. Now i will try to get the Sword Lv 80 too since lv 80 weapons are DA here. Maybe then i will go get Kamiliia Lv 80. Still thinking about it. Edit 1 - Oh , i already Have Dragon Blade , Lv 80 ??? Scythe. Dis: Resulted to using EPL b4 nerf to beat Emperor EX and Unraveler EX. ACC : Got all Lv 80 Weapons/Acessories From Thankstaking . Except Sibling Rivarly / Ch. 11 Part 2. DIS: after few tries in Egomaniacs, I realized that the VIK special doesn't buff your fire res. GOAL: finish the last Inn challange- Unraveler, Failed Doom, Endless Invasion (515/1000). DIS: I didn't complete the dream duo, and Dominion. But with their underwhelming rewards, I don't think I'll try. DIS: I have no power to beat EX-emperor and no idea how to beat Ex-Unraveler. ACC: Caught up to the story after being vacant for years. 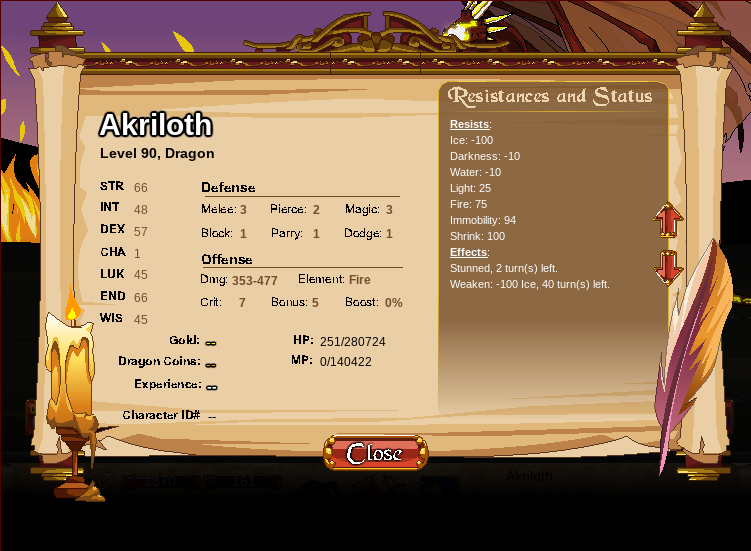 ACC: (Suprisingly) trained all classes that I could think of when I came back to play, lol. DIS: Failed Last Inn Challenge for that Baby Chimera pet. GOAL: Reach level 90 before I start school in the fall. @DrDonte Prinordials. Just My Baltael Soulweaver Strategy with 200 Protect Dragon. GOAL: Now it’s Cannon Time. ACC: Got myself a beautiful new Verraad. GOAL: But that’s not enough, smh Bluu, you’re supposed to get all A.A.R.G.H. Weapons. GOAL: Why stop there, get all Yllmar Weapons while you’re at it. GOAL: Get to the 1000th Floor of the Tog Invasion, because why not, I’m at 860. GOAL: Actually receive my 2019 Calendar and godlike Corrupted Doom Cassette. Can’t wait. and that comes to my next ACC: Got all 5 Baltael’s Aventails, and 3 pieces of SoulForged Jewelry, and I’ve got the gold for the other 2. DIS: Guess what came just after that happened? Distorted Doom Visage III. BAs Still worth it for flexing rights, though. ACC: Finally beat these two! Major ACC: Finally got the peculiar visor! 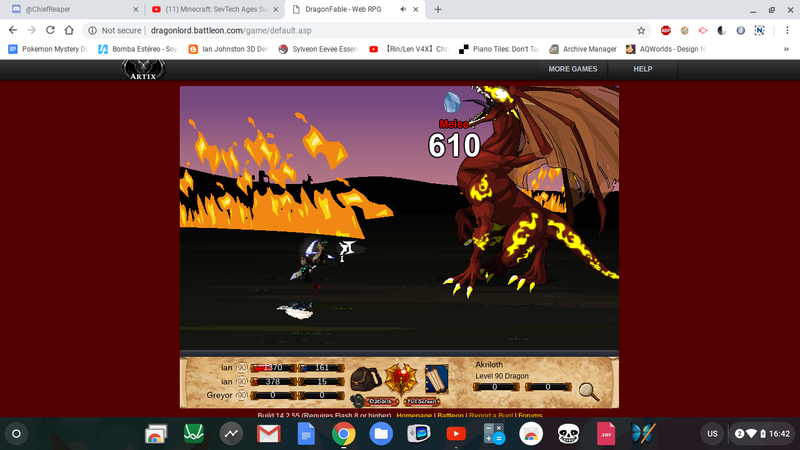 ACC: Defeated Sepulchure and Yaphael with DragonMage. DIS: Almost had Couerihem beat but got reckless near the end and didn't heal when I needed to. ACC: 1300/1800 DC. Via Ballyhoo. ACC: Hacked Magi Drone. Well, actually the ACC is: Unrevel-ex! !